The Saudi-led coalition, backed by the US, has lost their lives when Yemeni army forces launched an attack in the country’s strategic western province of Hodeidah, as the coalition has resumed attacks on Yemen’s strategic port city amid United Nations efforts to bring an end to the coalition’s devastating war on the country. A military source stated that a number of the Saudi-led coalition, backed by the US, were killed and injured in a military operation by the Yemeni army forces in Attohayta onthe West Coast. They also destroyed two armored vehicles. The source added that artillery shelling and appropriate weapons were used to deal with reinforcements sent by their enemy to the rescue of its forces in Hindi village, and the Air Force and Apache tried to help the paid fighters in the village before being targeted, leaving a number of casualties. 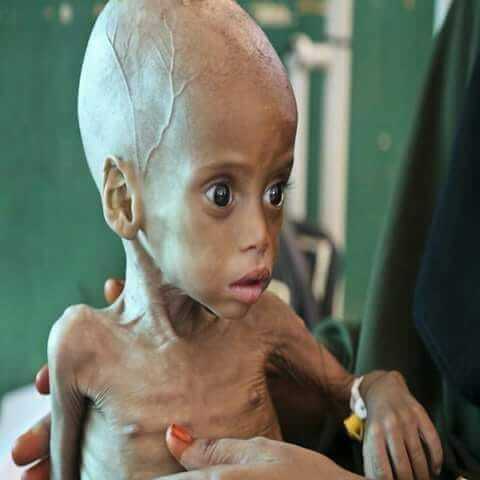 Using data compiled by the UN, Save the Children calculated in a Tuesday report the mortality rate for untreated cases of Severe Acute Malnutrition among Yemeni kids between April 2015 and October 2018. “We are horrified that some 85,000 children in Yemen may have died because of extreme hunger since the war began. For every child killed by bombs and bullets, dozens are starving to death and it’s entirely preventable,” said Tamer Kirolos, the aid group’s Yemen director. The complaint filed by the International Alliance for the Defense of Rights and Freedoms (AIDL) on Wednesday accused Prince Mohammed, who is Deputy Supreme Commander of the UAE Armed Forces, of war crimes, complicity in torture and inhumane treatment in Yemen. A United Nations draft resolution has called for an immediate truce in Hudaydah, Yemen’s strategic port and its only conduit to the outside world, setting a two-week deadline for removing all barriers to humanitarian aid for the impoverished state. The UK-drafted resolution was presented to the UN Security Council on Monday, following a report from a UN envoy to Yemen working to arrange peace talks in Sweden to end the nearly four-year war. British Foreign Secretary, Jeremy Hunt, claimed that stopping the sale of arms to Saudi Arabia would compromise his country’s influence over Saudi Arabia and its ability to influence a solution in Yemen. This justification lacks any logic. In a clear message to Saudi Arabia, the UAE and Iran, the foreign minister said that the situation in Yemen must change, noting that part of the length of the Yemeni tragedy is due to Saudi failure in the process of managing the crisis. On Monday, October 10, the High Court of London rejected a lawsuit to stop the sale of British arms worth several billion pounds to Saudi Arabia because they are used in Yemen in violation of international humanitarian law. The rights activists’ campaign against the arms trade has asked for a ban on licenses to export British-made bombs, fighter jets and other munitions that the Saudi-led Arab alliance used in its war against Yemen. In a press conference, held in the military hospital in the center of Hodeidah, Ministry of Human Rights and Tihama Organization for Human Rights and Heritage discussed on Sunday the escalation of the US-Saudi aggression and its targeting of the city and port of Hodeidah. The press conference called on the international community, represented by the United Nations, the Security Council and human rights organizations, to stand up to the acts of genocide and destruction of the Yemeni people by the countries of the aggression and declare a position to stop their acts and lift the injustice of the Yemeni people. The head of the Supreme Revolutionary Committee Mohammad Ali al-Houthi said Wednesday evening that the UN envoy should not repeat what he has failed in it earlier. “We hope that the agenda of the envoy’s visit will provide constructive proposals to improve economic and humanitarian situation and set out peace, according to a clear vision that is not subjected to US-Saudi aggression countries desires,” al-Houthi said in a tweet on his Twitter account. The UN envoy to Yemen, Martin Griffith, arrived in Sana’a this morning and held meetings with a number of national leaders.